Recently I got some excellent apples in the department store we usually shop in. You may recall the old saying, " an apple a day keeps the doctor away!" as apples have ever so many health benefits. I was surprised to know from this article in Organic Facts that there are 7500 varieties of apples!! I made kheer out of the apples. 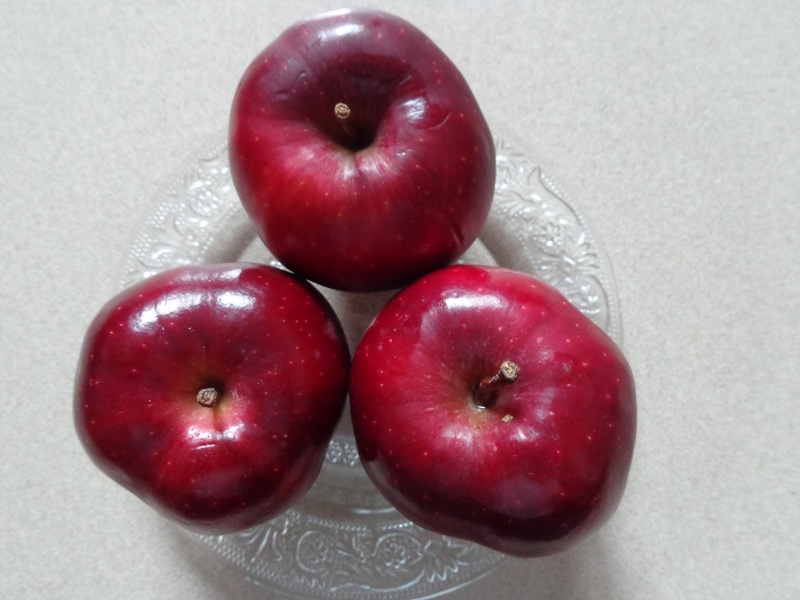 In this recipe the apples are not peeled and we use them with the skin intact. The amount of sugar you use will depend on the sweetness of the apples and your taste. 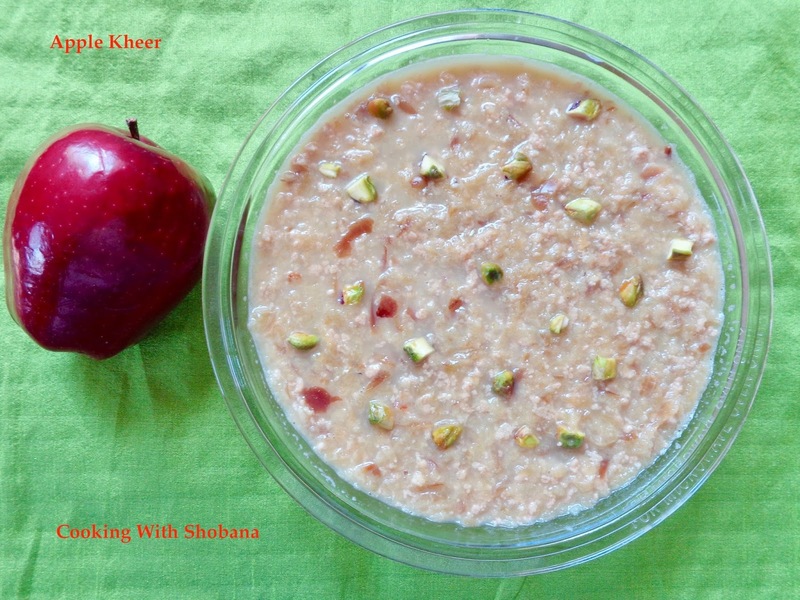 This recipe is adapted from this YouTube video of Apple Kheer by Master Chef Sanjeev Kapoor's Khana Kazhana which is so nicely presented by Anupa in Marathi. Blanch and slice the almonds and pistachios and keep aside. For blanching, keep the almonds and pistachios in warm water and then remove the skin. 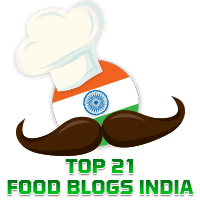 Once it is cooled, refrigerate the kheer and serve chilled.